In week 2 we had to think up a recipe for a super sandwich. We had to research our ingredients to see whether they were healthy or not and then we got to make it. All of the groups in the class made 4 of their sandwich recipe on the same day. All of the sandwiches got cut up and tasted by the others in the class. After we had tried 3 to 4 sandwiches we filled out a survey to rate whether they were tasty, healthy and original. Finally the last part of the task was to make an advertisement trying to convince others that our sandwich was the best to buy. Raenan, Waata and James were the first to finish their ad. We think they did a pretty could job trying to convince us. Their movie was funny and well filmed with lots of different camera angles. Well done boys. Raenan, Kingston, Waata & James Sandwich from Team 5 PES on Vimeo. Will.i.am had such a powerful message for us all that it we thought you might like to hear the whole thing. It was really inspiring to hear how he managed to become successful by keeping hold of his dreams, through surrounding himself with good friends with similar dreams and aspirations. 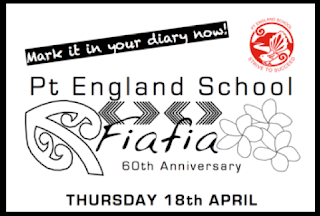 Here's the link to the news item on Maori TV. Today the one and only, music sensation Will.i.am came to our school for a very special assembly. 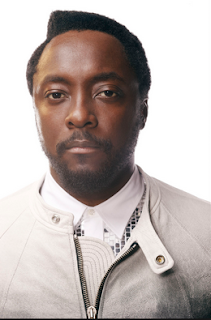 The students at our school screamed and cheered, while the media recorded every little bit.. All I could think about was, "WOW Will.i.am is it really him?" Just one of the people I aspire to be like was in our very school hall. The very talented man donated $100,000 to our Maniakalani cluster . The Media were all here trying to catch a glimpse of the man himself. Will.i.am was introduced by the kapa haka group then the senior hip hop performed their hearts out. He stood up and gave us a speech about him and a little about his background. He told us why he was donating money to Maniakalani. It was to make scientists , electricians, mathematicians and any thing you really want to be. His speech was inspirational choose your friends wisely. They will help you to become who you want to be in the future. And remember also that family is really important. I was so happy Will.i.am my hero came to our school donating money to our cluster and just being here. This made my day. "And now we have the group from the Rock of Polynesia", announced Gabriel. As soon as I heard that, I was ready to Rock 'n' Roll. As the conch shell blew, eight fierce warriors approached the stage, and the crowd became silent. Those warriors shouted out "Koe kau ne hau, koe kau ne hau", meaning "the enemy is coming, the enemy is coming". Then a group of girls followed with a loud "Talage ke hau, talage ke hau", meaning "tell them to come, tell them to come". From then on the Niuean group rocked the stage. As the performance went on, it made me feel that we were the best group. I wondered what the crowds response was. I reckon that the Niuean haka set the bar for all the other groups. We were loud and strong. I was the leader of the Niuean group. I reckon I did well, and I felt proud of myself. After the performance I knew that my family were proud of me. The whole team did well, and I think it was cool that my mum and Ms Lavakula could take the whole group and teach us the actions and songs. All the other groups did well but I still think we were the best! !